Sydney Park is a large recreational area in the inner city suburb of Alexandria. The former brickworks were transformed into parkland and four cascading wetlands. This Great Cormorant suns itself on a log at the edge of a pond. A good conversion of the property. Beautiful picture, Jim. 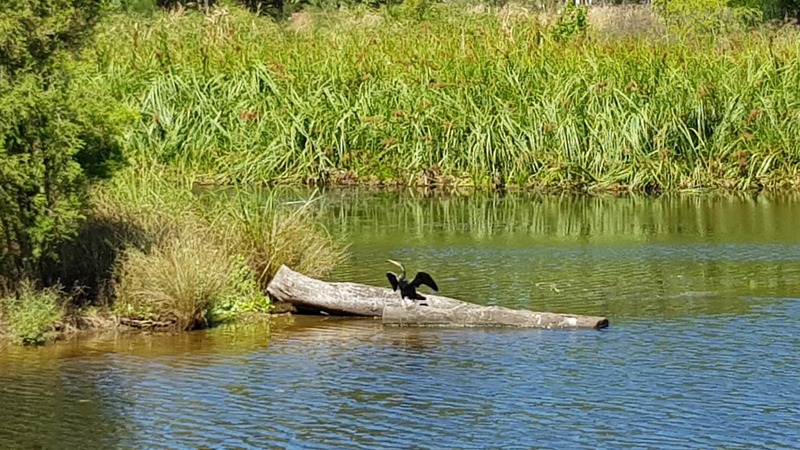 The pretty Great Cormorant is quite a bird, I'd like to see him dive for fish. Most do it with ease. I did look this bird up in the Birds in Backyards from your link. Quite interesting, now if I could just remember the name when I see one. Marsha, I've started noticing them more and more since I've started taking photos around waterways. New one for me...the name of that bird. Learned something new through your photography. Thanks, and great capture.